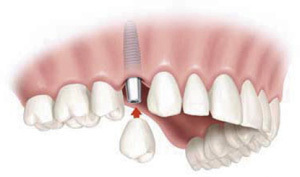 Dental Implants are artificial replacements to the root portion of your natural tooth. They serve as a sufficient replacement for both your aesthetic reasons and tooth functionality. These implants are made from titanium, which is an extremely tolerant material that integrates well with your own bone tissue. 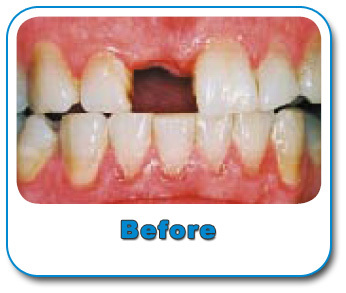 This implant allows fuses the outer surfaces of the implant and bone tissue together, which creates a stable support for the new teeth. 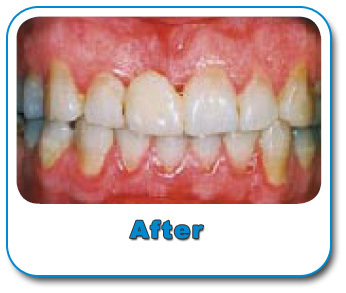 This approach to tooth replacement reduces the loss of healthy bone loss, improves your dental hygiene (all you need to do with the new replacements are brushing and flossing, which should be your regular cleaning procedures) and will not require to remove any other healthy teeth surrounding the replaced tooth.